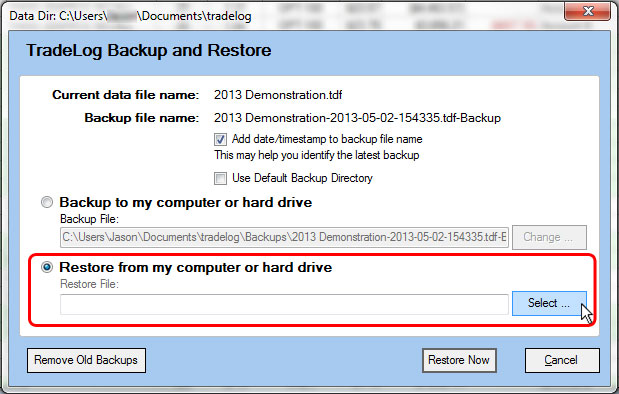 The TradeLog Backup and Restore dialog box will appear. Choose the option to Restore from my computer or hard drive then click the Select... button to chose the file to restore. The Select Restore File dialog box will open to the default location. 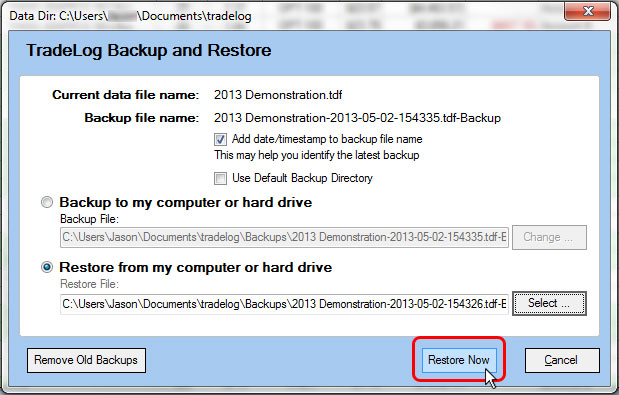 Select the backup file you wish to restore. Note: if you saved your backup file to a different location you will need to navigate to that location to select your file. After you select the file, click Open to continue. 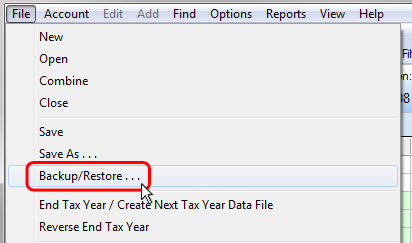 The selected file will now display in the "Restore File" field. Click Restore Now to continue. A warning dialog will ask you to confirm the restore. 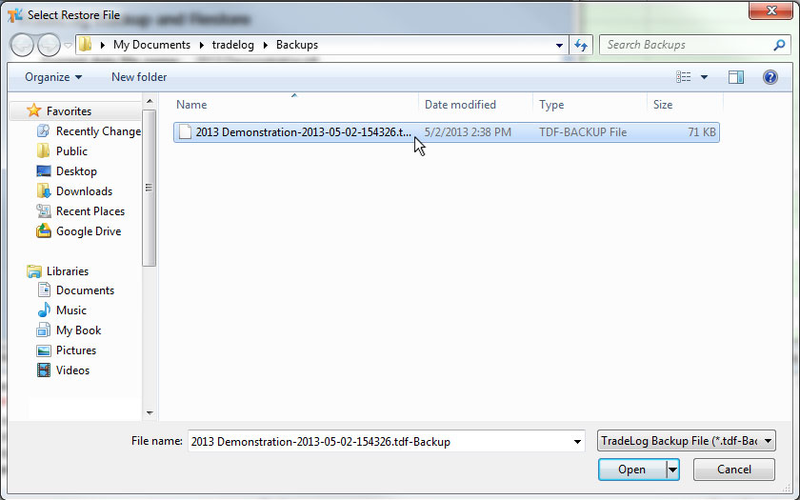 Note, the restored file will overwrite the current TradeLog file you have open! Click Yes to confirm and continue. Your data file will be restored.